Spring is only a few weeks away, but we still have some cold days ahead of us. If you need a remedy to beat those winter blues, heading to a local blues bar is the best cure. New Orleans, Memphis, and Chicago might have big reputations for the best blues music scenes in the country, but you shouldn’t count out Washington, DC. The blues scene in the District is growing. We have picked four awesome bars you should make your way to on a cold night that host some of the most talented blues performers you will ever see. 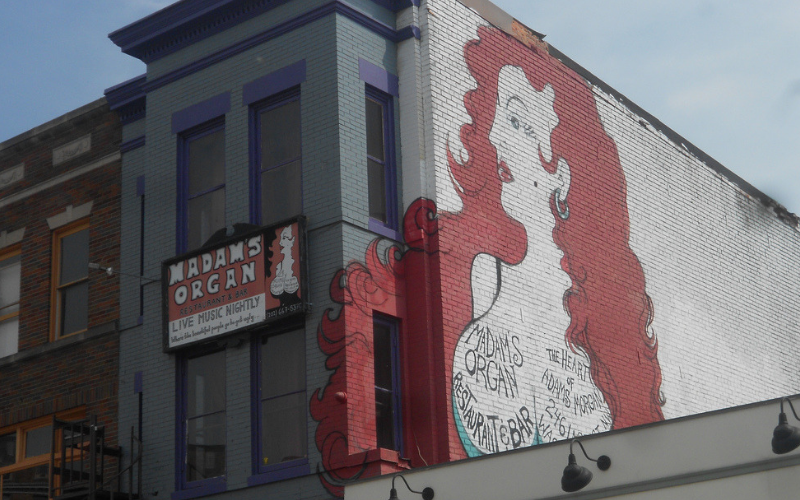 Madam’s Organ is a very popular bar in the Adams Morgan area and has earned a reputation for having great blues music on the weekends. Filled with funky decor, this bar has live music seven nights a week and blues music from various bands Friday through Sunday. You can never have a bad night at Madam’s because if you’re not feeling the music that’s playing on the first floor, you can head up to the second floor for karaoke or a DJ, depending on the night. View the full music schedule here. #FrayLife Tip: Madam’s Organ is four levels of fun and offers different kinds of entertainment on each floor. Make sure to check out the starlit roof deck and tiki bar, when it’s open! Blues Alley is a true jazz club. The venue itself is very intimate, offering the audience a one-of-a-kind experience with the performers. If you appreciate jazz, funk, blues, or soul music, this is the place to hit on a night out. There is also a full menu available to order dinner while you listen to the artists play. #FrayLife Tip: You can check out who is playing ahead of time and purchase tickets before the shows sell out! 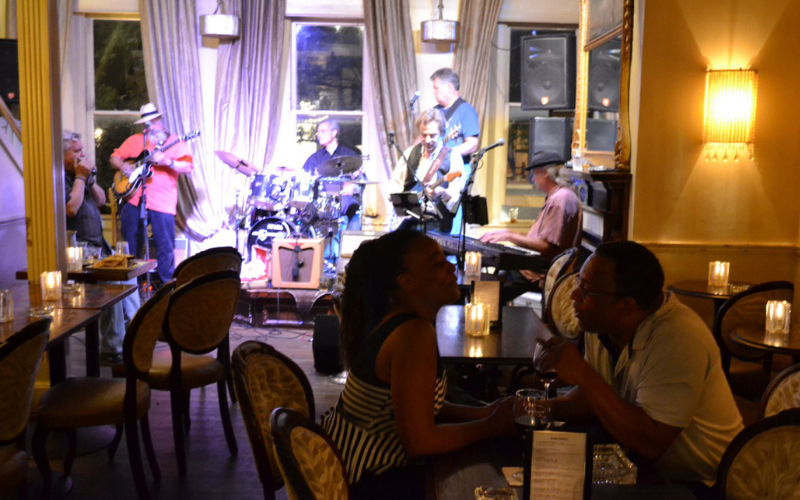 Another awesome place to come for blues music in Adams Morgan is Columbia Station, which has live jazz and blues music six nights a week with no cover! 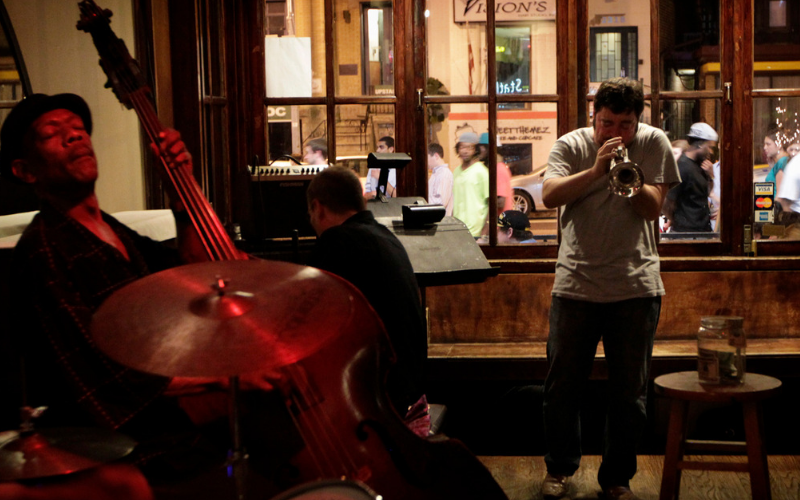 You can hear the blues on Saturday nights from the James Benson Quartet and featured artists. Check out the weekly musical lineup here. #FrayLife Tip: If you’re a pizza, pasta, and wine lover, this bar’s food selection won’t disappoint you. Don’t be afraid to try a Columbia Station-tini either. We recommend the “Charlie Parker Blues” martini. Just across the water from DC, Basin St. Lounge in Old Town Alexandria also has a distinguished reputation for fantastic blues music every night of the week. A night at the Basin St. Lounge will have you feeling like you’re in Memphis or New Orleans. Not to mention, the lounge boasts a large fine whiskey list to accompany the tunes. #FrayLife Tip: There is no cover during the week and only a $5 cover on weekends. 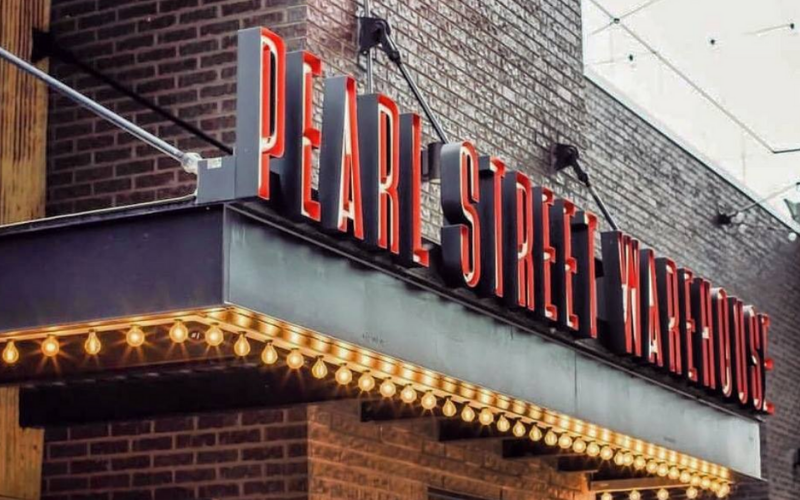 Pearl Street Warehouse is a lively, intimate music space that features classic breakfast and dinner fare, bar bites and good drinks. The joint hosts an array of nightly performances in which every seat in the house offers a front-row experience, so all you have to do is check the website for listings and ticket purchases. #FrayLife Tip: While the venue does feature a good amount of blues performances, it also hosts shows of other genres such as Western, folk, soul, bluegrass and rock, giving you a chance to switch things up if you have a vast taste in music.